HI, Need help with installing on a MAC. but keep getting the following error when trying to run the installation. 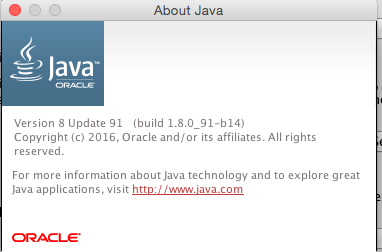 I have also added the version of Java, just incase that is the issue..